A section of the Texas Eastern natural gas pipeline exploded in Noble County, Ohio, on Monday, Jan. 21. Enbridge personnel are responding to the incident that caused a fireball, injured two people and damaged three houses. The incident occurred about two miles south of Summerfield, Ohio, at 10:40 a.m. Eastern. Enbridge announced Jan. 21 that it had activated its emergency response plan and was cooperating with authorities. The fire was contained and residents within the proximity of the incident were evacuated. Field operations immediately started to shut in and isolate that section of pipeline. A 700-foot precautionary safety perimeter near the incident site is in effect, and the nearby road remains closed. This section of pipe (Line 10) is 30 in. in diameter and was built in 1952-53. An inline inspection (ILI) of the line was performed in 2012, and no remediation was needed. Enbridge stated that the company is working closely with the Public Utilities Commission of Ohio (PUCO) and the Pipeline and Hazardous Materials Safety Administration (PHMSA) to identify cause, monitor repairs and evaluate environmental impacts. 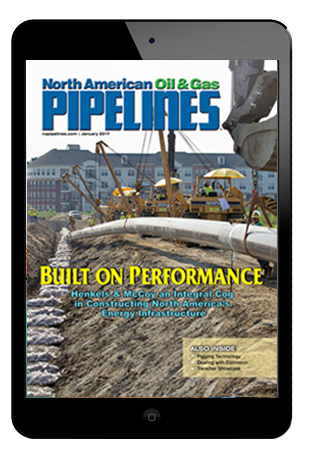 Isolating the other two natural gas pipelines in the right-of-way as an added safety measure, allowing crews the ability to safely investigate the integrity of those two pipelines prior to returning them to service. Conducting air, soil and water monitoring on site. Performing survey work in support of the investigation and return-to-service plan. At this time, there is no estimated timeline to return the pipeline to service.